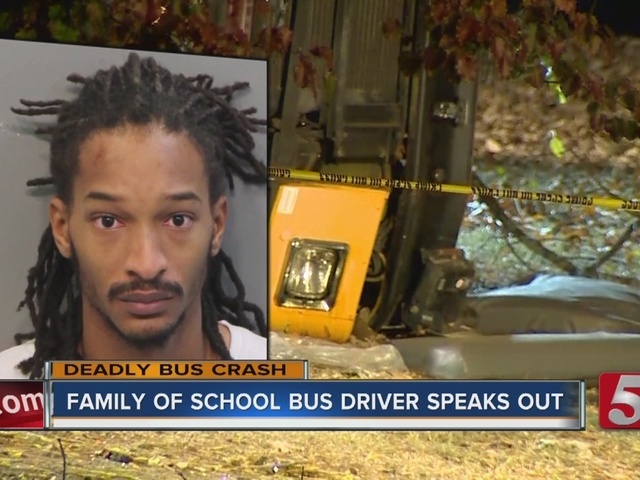 As investigators in Chattanooga continued to sift through the school bus wreck that claimed at least five young lives, the cousin of the driver says the crash was nothing more than an accident. "It hurts to see that. It's not fun. Nobody wakes up in the morning and says I'm going to go to wreck a bus and kill kids. That's not his heart," said Jeremy Fant, first cousin of bus driver Johnthony Walker. "Can you imagine the trauma, the guilt and the shame that he's feeling," said Fant. Walker was charged with vehicular homicide after the school bus he was driving wrecked in Chattanooga Monday killing five elementary school students. Fant said his cousin was found covered in blood at the scene from trying to rescue the kids. "He wanted to get some of them off the bus, but the scene was too violent," said Fant. Investigators said Walker was speeding at the time of the wreck. "It could be a possibility. That's what they kept saying," said Fant. Walker has been tested to see if he was under the influence at the time of the accident, and results are pending. Fant, who said he grew up with Walker, said his cousin doesn't drink or use drugs. "Absolutely not. I'm confident to say no," said Fant. He said Walker told him it was an accident. "It was an accident. It was a misjudgment," said Fant. It's something that's now devastated so many families. "My heart and our heart goes out to those families who lost those babies. I promise you," said Fant. Walker was booked into jail on a more than $100,000 bond. Fant said that he had gotten to know and care about the children he was driving throughout the school year — including the five that have passed away. "There's no punishment worse than that. He has to live with that every day of his life," said Fant. Authorities have said Walker appears to have no criminal record in Tennessee.